A lost “sequel” to Anthony Burgess’s A Clockwork Orange, in which the author explores the moral panic that followed the release of Stanley Kubrick’s 1971 film adaptation of his novel, has been found among papers he abandoned in his home near Rome in the 1970s. The unfinished manuscript of The Clockwork Condition was written by Burgess in 1972 and 1973, after the film was accused of inspiring copycat crimes, prompting the director to withdraw it from circulation. The manuscript, which Burgess described as a “major philosophical statement on the contemporary human condition,” had been left by the author in his home in Bracciano in the 1970s. Saskatchewan’s Regina Catholic School Division has been named the Grand Prize winner of the 2019 Follett Challenge, marking the first time a school or district from outside the United States has claimed the top spot in the contest, now in its ninth year. For its winning entry, “Tinker Tub Project,” the division earns a $60,000 prize in Follett products and services plus a celebration at their school, which will include a visit from New York Times bestselling author and Newbery Medalist Kwame Alexander, who served as a Follett Challenge judge for the first time. On the second floor of Grove Hall branch of the Boston Public Library in Dorchester, kids stand in line, eager for a chance to try their hand at a turntable. DJ Armando the Truth watches, guiding them as they learn how to scratch and blend records together. This lesson on DJing is a part of a pilot program called “The Breaks,” which teaches young people of color about the history of hip-hop and how it has influenced culture. 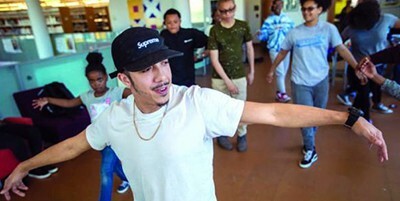 Every day during spring break, kids were trying out DJing and breakdancing while learning about hip-hop culture in workshops led by local DJs and the Floor Lords Crew, the oldest breakdancing group in Boston. 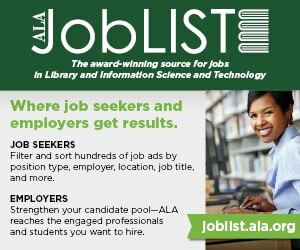 ACRL has published Scholarship in the Sandbox: Academic Libraries as Laboratories, Forums, and Archives for Student Work, edited by Amy S. Jackson, Cindy Pierard, and Suzanne M. Schadl. 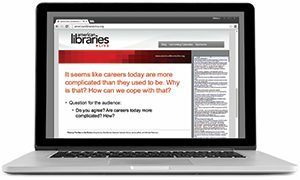 This collection of case studies and discussions describes efforts to curate student work, explores intellectual property issues, and provides tips for promoting and preserving access to this production through new programming and services that affirm libraries’ roles in intellectual processes. These new priorities open the library to new campus partnerships, making student scholarship and content a common goal.